Those wonderful women that will be standing at the altar next to you while you say "I do" to your groom are very special people. If they weren't, they wouldn't be in that honorable position. 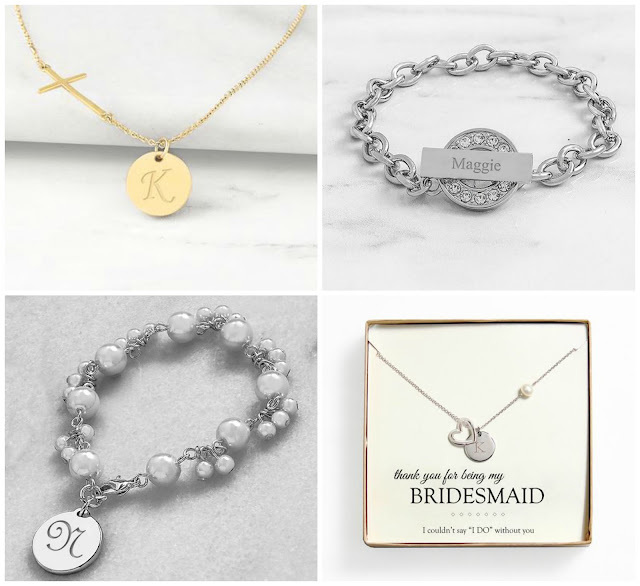 One way to show them how thankful you are is by finding the best bridesmaid gifts that they can treasure after your wedding day. You can find pages full of wonderful gift ideas for your bridesmaids at WhereBridesGo.com, but here are 5 of our favorite ideas to get you started. You can save your bridesmaids the expense of having to buy jewelry to match their gowns by giving it to them as a gift. This will also be a marvelous keepsake that they can wear after the wedding day too. We offer an incredible selection of beautiful jewelry in our online wedding accessory store, and best of all, most pieces can be personalized. Something that can also be useful for them on a daily basis is always a good idea. Something pretty to keep all of their jewelry would be perfect. It will be a special gift that makes her think of you every time she takes off her jewelry in the evening or picks out something pretty to wear in the morning. Giving gorgeous robes as gifts for your bridesmaids is definitely one of our favorite ideas for many reasons. 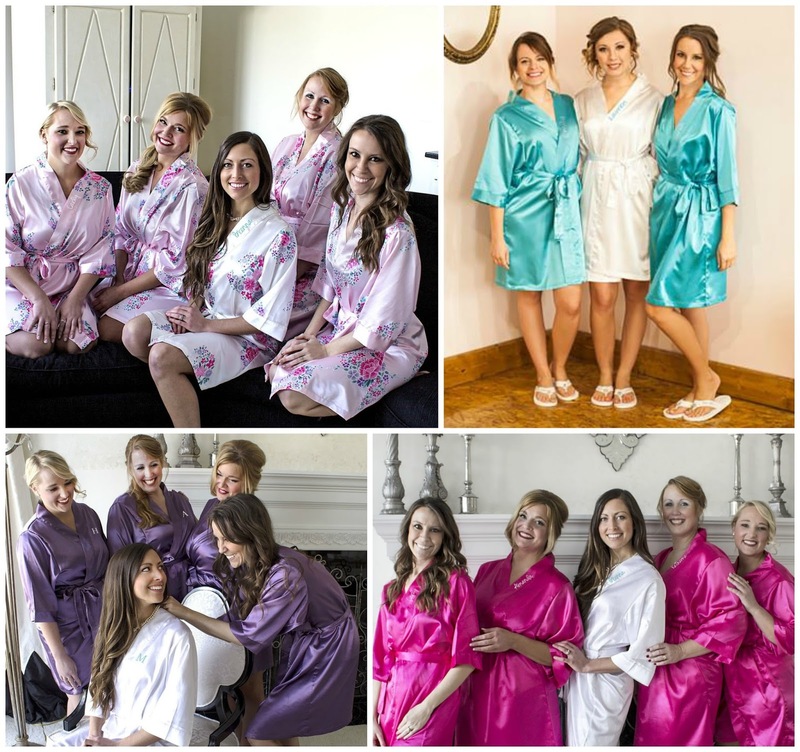 You can all wear matching, personalized robes while you get ready for the wedding. No one will have to worry about pulling a shirt over their head after their hair and makeup are finished, plus the "getting ready" photos will look absolutely adorable. Your girls will love having something cute and comfortable to wear around the the house after your wedding day too. We also sell matching flip-flops to go along with the robes, and some even come as a set. A girl can never have too many bags, and of course, you need a few in different sizes for different occasions. For these reasons, a fancy tote bag is an excellent bridesmaid gift. You can get one for each girl to load up all of the things she'll need to get ready for the wedding, and if you want to go a little bigger, pack it with a few fun items before giving it to them. It can be practical things like makeup, or it can be fun stuff like bottles of wine. When you do it that way, the present itself actually doubles as a gift bag! Here is a very cool item that not many people have heard about, but we think that every woman should have a pair of in her purse or bag at all times - Pocket Shoes! 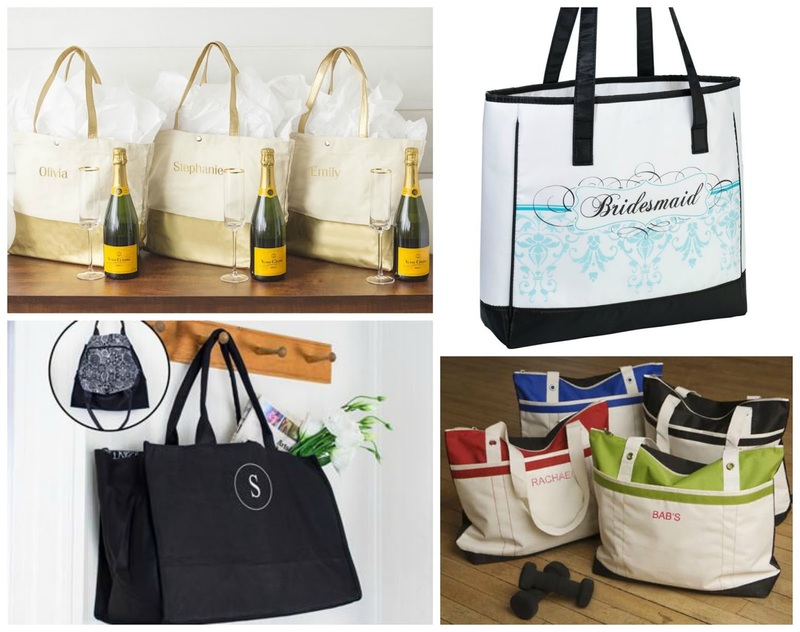 This unique gift item is small enough to carry with you anywhere because the shoes fold up into a convenient convertible pouch tote that you can add each bridesmaid's initial to. When their feet get a little tired from all that dancing you'll be doing at the reception, they can pull these pocket shoes out and still look stylish without the painful heels. These are especially great for travelling too. There are a few of our favorite bridesmaid gift ideas to get you started, but you will find a whole lot more when you head on over to WhereBridesGo.com and start browsing. 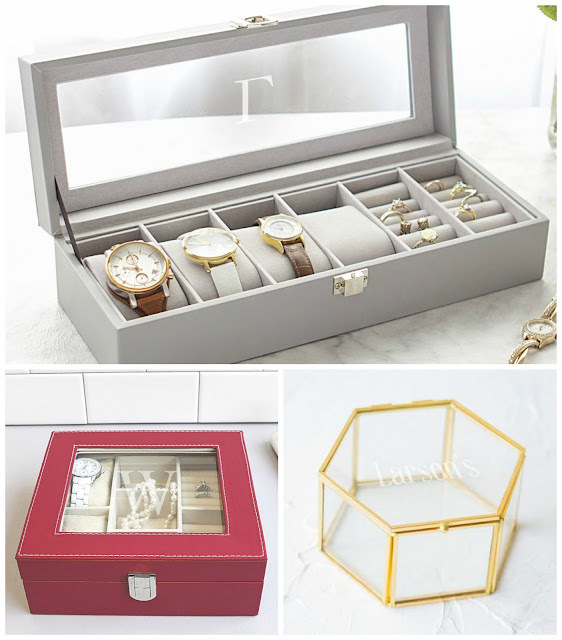 While you're there, you'll also see wonderful gift ideas for everyone else that will be helping you with the wedding, a few great ideas for you and your groom, and of course, all kinds of incredible wedding accessories for both the ceremony and reception. It's the perfect place to get almost all of your wedding shopping done in one spot!